Race4Eight Season 8 Kicks off This Weekend in Atlanta! 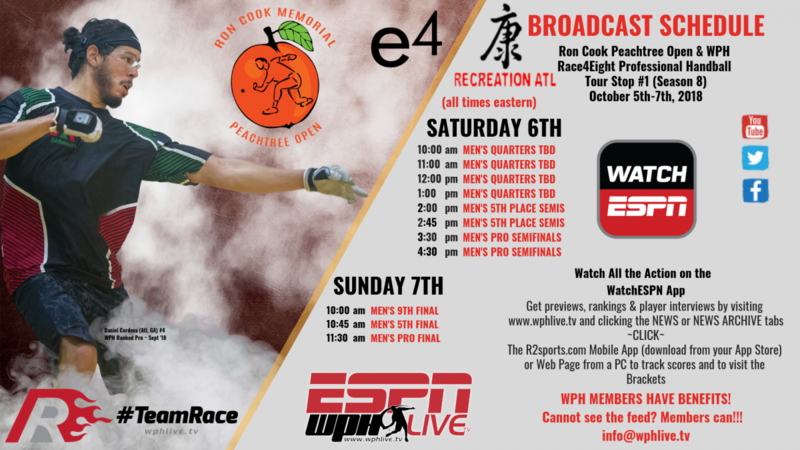 Atlanta, GA, WPH Press, 9/4/17- The WPH Race 4 Eight Tour Powered by ESPN is thrilled to return to Atlanta for the third time since 2012 to host the 2018 E4 Ron Cook Peachtree Open/R48 8 Stop #1 at the RecreationATL, located at 754 Beaver Ruin, Rd., Lilburn, GA 30047 from October 5-7, 2018. The 2018 E4 Ron Cook Peachtree Open/R48 8 Stop #1 is the first event of the 2018/19 R48 season and 49th overall R48 event since 2011. 2018 E4 Ron Cook Peachtree Open/R48 8 Stop #1 will feature nine of the top 10 ranked pros on the Race 4 Eight tour, as well as a deep qualifier draw with players from California, Arizona, Minnesota, Tennessee, Georgia, New York, and Ireland. Top local and regional players will also compete at the E4 Ron Cook Peachtree Open in singles and doubles brackets. 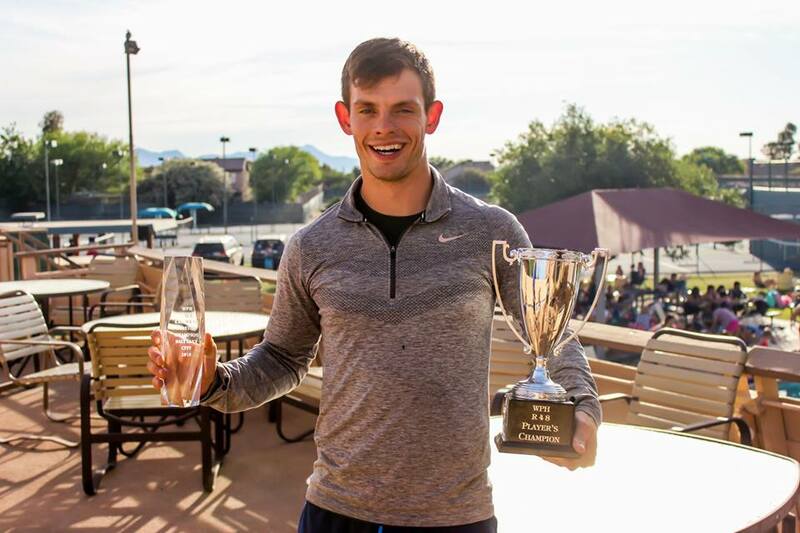 Race 4 Eight Men’s #1 Pro and defending E4 Ron Cook Peachtree Open R48 champion Killian Carroll (IRE) dominated the 2017-2018 Race 4 Eight 7 season with six victories in seven starts, including his third WPH R48 Player’s Championship in May. Carroll also added his first World Championship and third consecutive USHA Four Wall national title in August and will enter Atlanta as the overwhelming favorite. Carroll will have to contend with Race 4 Eight Elite 8 peers Sean Lenning (WA), Daniel Cordova (GA), David Fink (AZ), Luis Cordova (GA), Emmett Peixoto (CA), Marcos Chavez (CA) and Vic Perez (CA), as well as a strong qualifier draw that includes 2018 World Championship finalist and 2018 All Ireland champion Martin Mulkerrins, to name just a few! 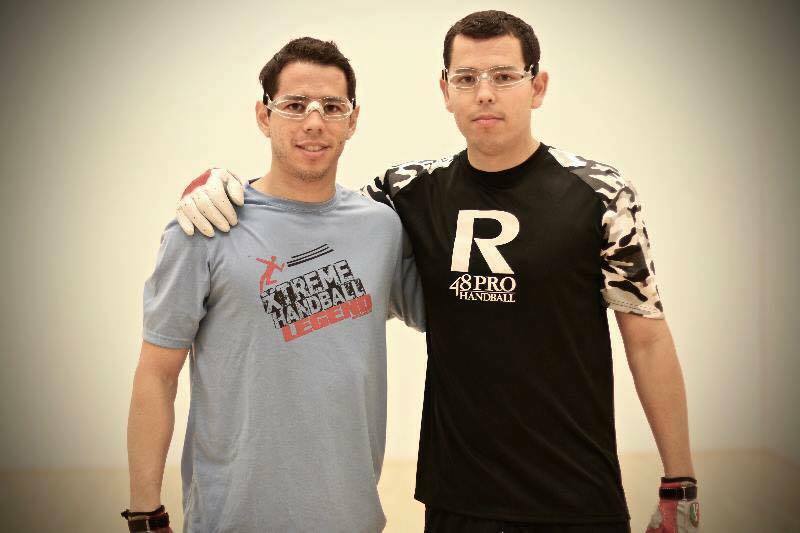 Race 4 Eight “Elite 8” brothers Luis and Daniel Cordova call Atlanta home, with both of the “Flying Cordovas” playing and training out of the RecreationATL. The Cordovas will have the home court advantage, giving them a huge advantage in the season’s first stop. Daniel earned R48 Rookie of the Year honors in 2015 and has maintained his Elite 8 ranking since his rookie season, breaking into the top four for the first time late last season on the heels of his first R48 finals appearance in New York in April. Luis broke into the R48 Elite 8 as a 20-year old and broke into the top three for the first time last February before ending the season ranked #6. “I’m feeling really good and I’m excited about the season,” stated Luis. “I’m looking forward to playing a home game in Atlanta.